HOTELEX Shanghai covers the entire hospitality and catering value chain from Catering Equipment Supply, Tableware,to Food and Beverage, Bakery & Ice Cream, Coffee & Tea, Wine & Spirits, and more. As the most international event of its kind in China with more than 26 years’ history, HOTELEX Shanghai attracts some 2,500 exhibitors, 146,267 visitors and 5,135 overseas buyers , creating an excellent platform for sourcing, procurement and industry exchange. 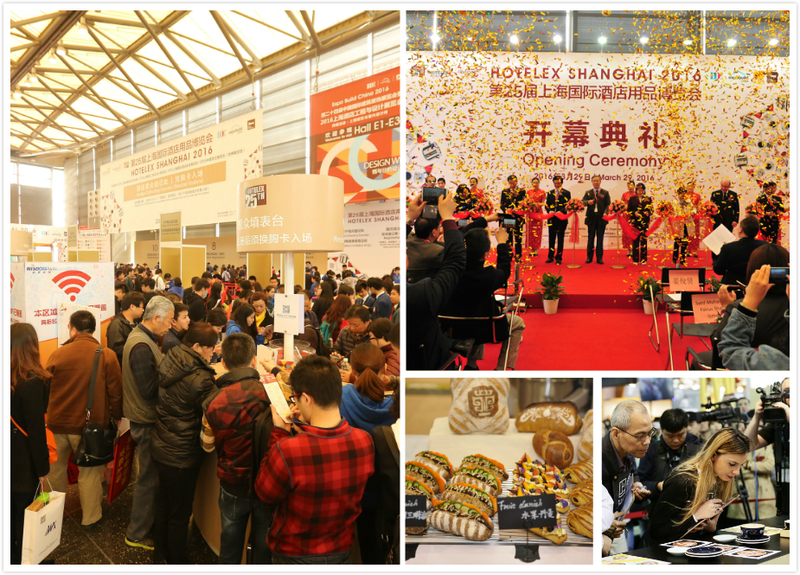 The next HOTELEX Shanghai will take place on April 1-4, 2019. JDGLE.com is a vertical B2B online trading platform serving the Hotel Supplies and Fine Food industries. Combining the four HOTELEX exhibitions taking place in Shanghai, Beijing, Chengdu and Guangzhou with JDGLE.com’s year-round operation, we create business opportunities for suppliers and buyers across the Hospitality and Catering value chains. Click here to visit the JDGLE.com portal. JDGLE.com is part of the JIAGLE.com, which also owns a series of online trading and information portals, including JJGLE.com (Furniture), FMCGLE.com (Upholstery Machinery), DDGLE.com (Commercial Properties & Facilities), XIUGLE.com (Boat & Leisure), QJGLE.com (Cleaning) and DENGGLE.com (Lighting), providing business opportunities across different sectors.